Surely Britain’s most prolific comedy script writer with a list of works that includes some of Britain’s best loved sitcoms. We interviewed Roy Clarke back in 2014. He sites fellow comedy writers Ray Galton and Alan Simpson as his ‘idols’ and if there were a comedy he wishes he’s wrote himself it would be “Dad’s Army”. Of his own works which there are many he doesn’t have a personal favourite, but enjoys watching the repeats. 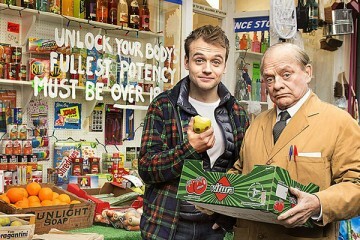 He’s been writing comedy for almost fifty years and in 2019 there will be a sixth series of Still Open All Hours. 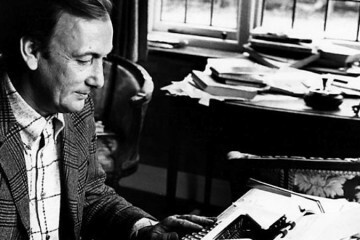 Born Royston Clarke on 28th January 1930, in Austerfield, West Riding Of Yorkshire. To this day he still lives in Yorkshire, currently residing in Goole, East Riding Of Yorkshire, where he lives with his wife Enid Kitching. Before his writing career Roy Clarke’s early jobs included: teacher, policeman, taxi driver and salesman. He also served in The Royal Corps Signals for the British Army. Whilst holding down other jobs Clarke would write in his spare time. Eventually he would have several plays accepted by BBC radio. His big break into Television came in the 1960’s specialising in dramas such as The Troubleshooters (BBC, 1965-72), The Power Game (ITV, 1963-69) and Detective (BBC, 1964-69). Of his drama work he told us: “all my drama writing had an element of comedy in it”. 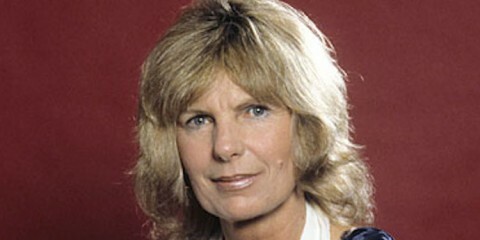 It was 1970 that his first big break into TV comedy came about when he wrote ‘The Misfit’ for ITV. 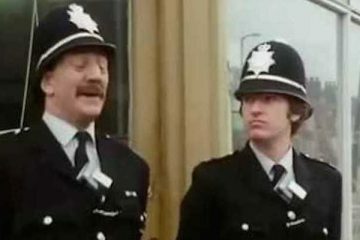 In 1973 Roy Clarke would embark on two long term associations when he provided material for Ronnie Barker in The Two Ronnies and wrote two pilots: Open All Hours and Spanner’s Eleven for Barker’s Seven Of One series. 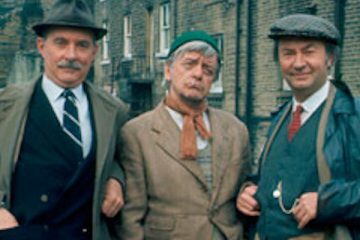 It was also around this time he became involved with BBC Comedy Playhouse, this lead to the long running Last Of The Summer Wine series. He told us how the idea came about “I was invited by then head of BBC comedy Duncan Wood to come in and have a talk. He told me he was looking for something for three old men. I went home and played with the idea for a couple of weeks, I just couldn’t come up with anything. Then I thought the three of them would be retired so free to do as they pleased, just like kids. Once I thought of them as kids it all came together. Rosie, Potter, The Magnificent Evans, First Of The Summer Wine, Keeping Up Appearances, Ain’t Mis Behavin’, Still Open All Hours. The 2014 prequel ‘Young Hyacinth’, screened as part of BBC’s Landmark Comedy Season, unfortunately failed to make it as a series. 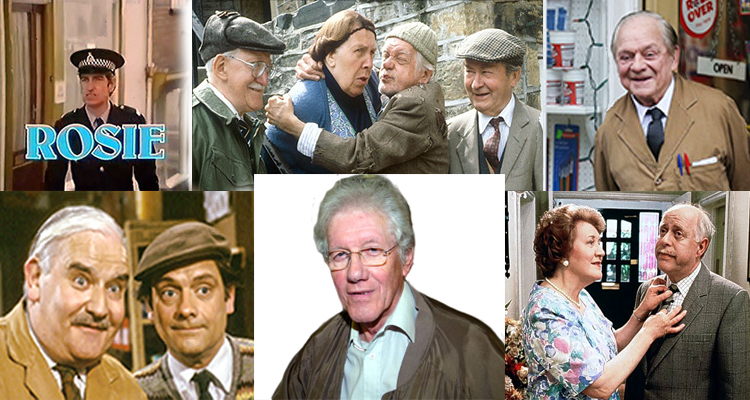 Last Of The Summer Wine became the world’s longest running sitcom, whilst Keeping Up Appearances became the BBC Worldwide’s most exported television program. In 2002, Roy Clarke received an OBE for his contribution to British comedy. In 1994, Clarke was granted the Freedom of the Borough of Doncaster; the highest honour the Council can bestow. 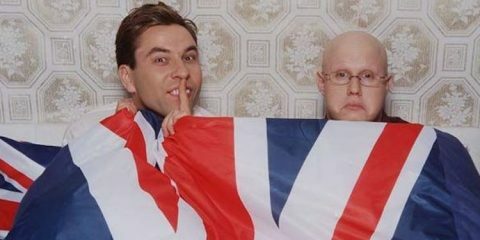 He was awarded the lifetime achievement award at the 2010 British Comedy Awards.